After a summer of incredible competition, Farmers Guardian takes a look at 10 milkers who have marveled us in the show ring. Inter-breed victor at both Devon and Cornwall shows, the Holstein fourth calver Curscombe Windbrook Joy 89 kicks off our list. Bred and exhibited by Jenny Bishop, Honiton, daughter Nicola Lockyer was on the head collar this season. Having calved in April with its fourth, it is classifed EX93 and was shown this year giving 54kgs. From five generations of home-bred cows, it is out of Curscombe Manat Joy and by Gilette Windbrook. Joy 89 gave 12,000kg in its last lactation and has produced five heifer calves in its career. 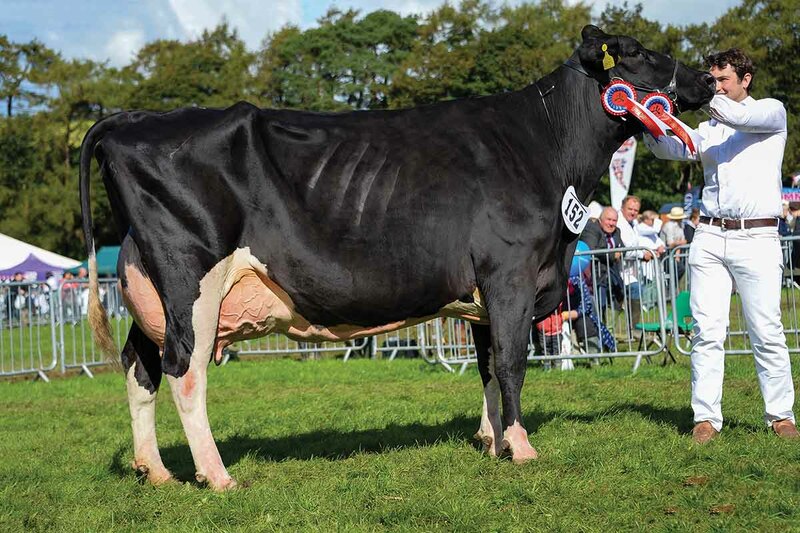 Bolton Manor Damion Sadie 3, a homebred fourth calver from Tom Stable of Bolton Manor Holsteins, Ulverston, claimed the inter-breed championship at Westmorland County after having won its class at the Great Yorkshire for the past two seasons. 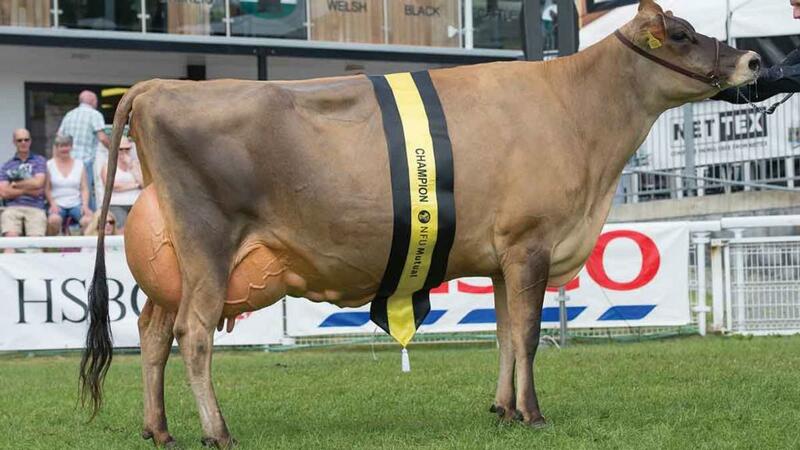 There was no stopping the Wilson family of Tregibby, Cardigan, at the Royal Welsh where they took both champion and reserve tickets in the dairy inter-breed. 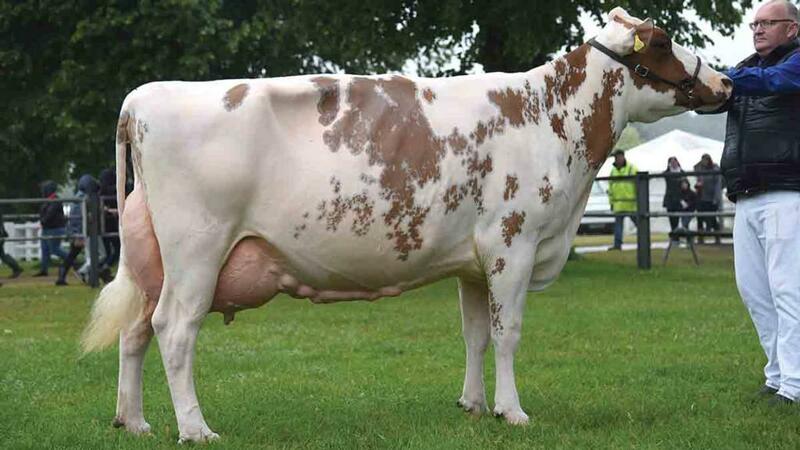 Heading the championship was the sixth calving Holstein Willsboro Goldwyn Kitty 5, which stood above the reserve choice, the Jersey Tregibby Panama Tequila (pictured). A home-bred second calver by Tower Vue Prime Tequila out of Tregibby Comerica Panama, it was shown calved in October giving 25kg. Champion heifer at the Welsh the year previous, it was also breed champion and reserve inter-breed at AgriScot. The Ayrshire cow Sandyford Mayflower 14 triumphed in the dairy rings at Royal Norfolk. 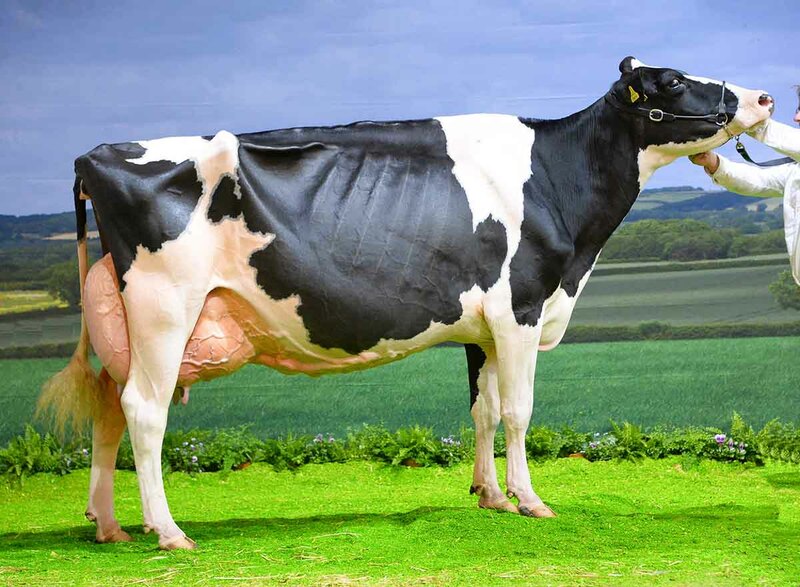 Calved in February and exhibited giving 55kgs daily, the judge on the day said it was ‘a lovely cow with great length and a great udder', also saying it could go anywhere and win. 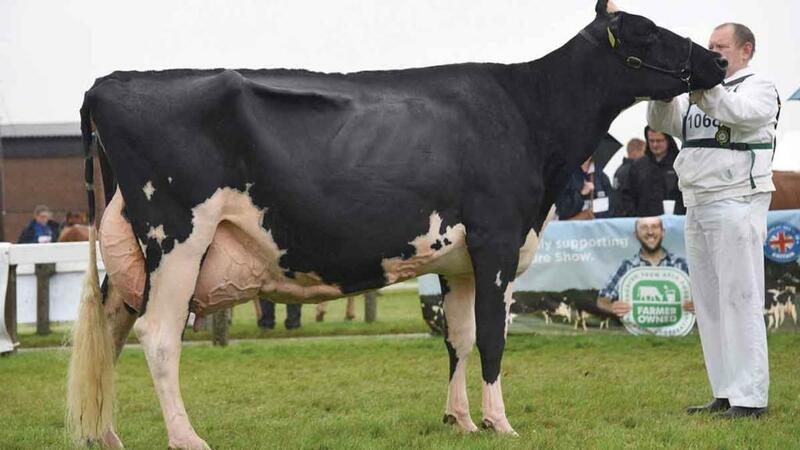 Proving dairy strength and milking ability is the name of the game was the crossbred cow 898, a home-bred from Rhodri Ellis, who farms his dairy herd on Denbigh Showground where the combination picked up the inter-breed. Cross-bred champion at the show for the past three years, this was the first time the eighth calver, which last calved in February, has come up to take the overall title. 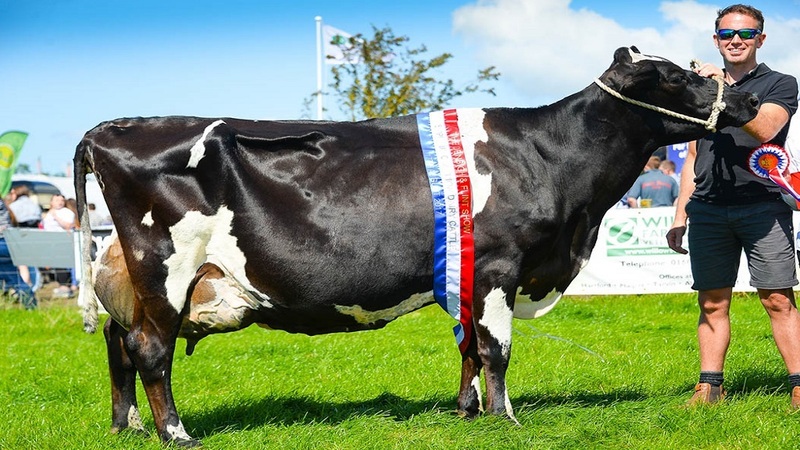 It showcases some of the best cattle in the country, but the Holstein Illens Atwood Australia rose above the competition at UK Dairy Day to be called out as senior inter-breed champion. Owned by the Laird family of Blythbridge Holsteins, Peeblesshire, and led by Colin Laird, it was imported from Switzerland two years ago after being bought in a private sale. Out of Illens Lheros Nancy and by Maple-Downs-IGW Atwood, it calved with its fourth in April and was shown giving 60kgs daily. 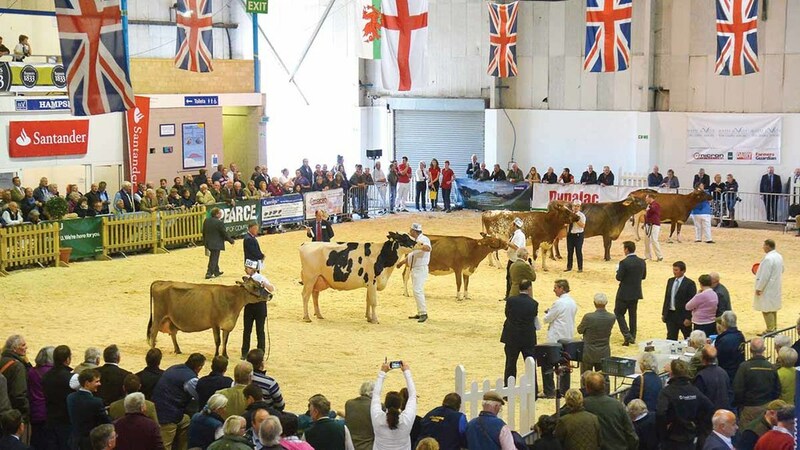 Among this cows’ list of accolades is reserve champion at the Royal Highland Show 2015, second place at Swiss Expo in 2015 and 2012, champion and best udder at Junior Bulle, champion at Sarirne 2014 and inter-breed champion at last year’s UK Dairy Expo. THE Jersey heifer Rapidbay UK Jades Belladonna from James and Nicky Hudson and Beth Ford, Brindley, claimed both heifer and inter-breed tricolours at Royal Cheshire show. Having calved in November, it won giving 22kgs and is part of the brother and sister team’s 12-head of Jerseys which they run alongside their 250 Holsteins. 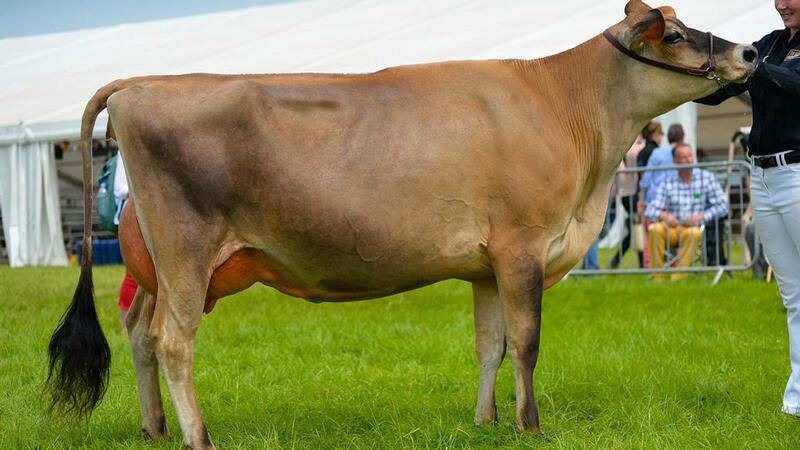 By Belles Jade and out of Rapidbay UK Comerica Belladonna, it won it's heifer class at the last UK Dairy Expo. 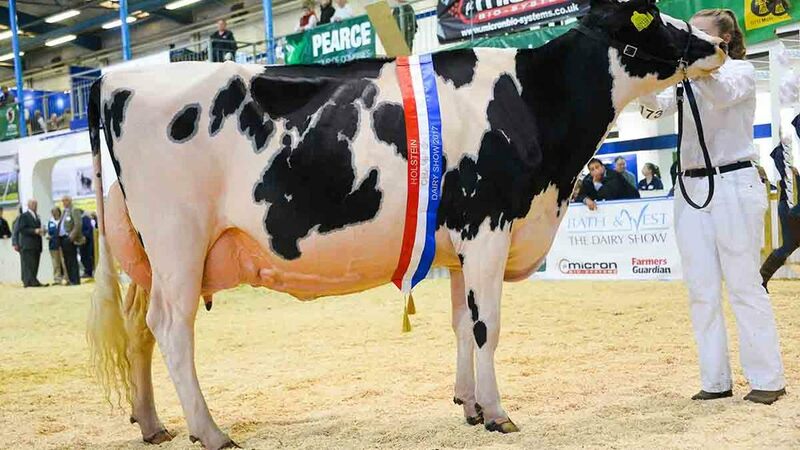 Newbirks Jazz 1584 from Robert and Elaine Butterfield, Lancaster, took the inter-breed dairy titles at the Great Yorkshire and the Royal Highland. The third calver which is by Comestar Lauanguard was purchased from the Lawson family, Otley, as a heifer in-milk. It took the breed championship and reserve inter-breed at the Great Yorkshire last year as well as a second place at the European Championships, Colmar. Born in September 2012, it was shown giving an impressive 63kg daily and gave 13,400kg in its last lactation. After tapping out the champion the judge described the cow as being ‘on form', also noting how it was 'well-balanced’ with a ‘combination of strength and dairyness’. DAIRY show supreme champion was the Holstein Normead Baxter Kansas, a second calver by Emerald-ACR-SA T-Baxter from the Thomas family, Elwyn, Cheryl and daughter, Anwen, Kidwelly. Bought privately as an in-milk heifer from the C.B. Cooper Partnership, it last calved in January and was shown still giving 40kg dairy, back in-calf again for February. 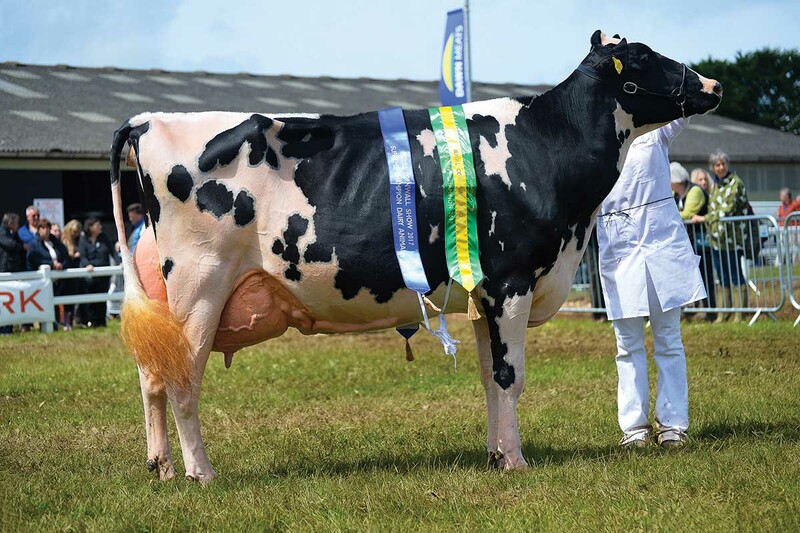 The Thomas’ also took the reserve Holstein championship with the home-bred fourth calver Gatrog Bolton Jingles, which when joined by its herdmate, second calver, Gatrog Nickalodean Pansy took the inter-breed pairs title for the family. 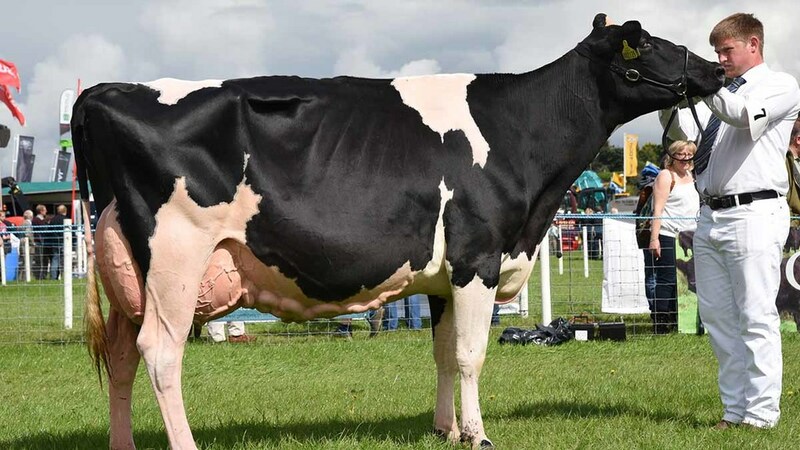 Logan Sid Eddie, a Holstein owned and bred by Brian Yates and family, Castle Douglas, took the breed championship for the third time at Dumfries show.